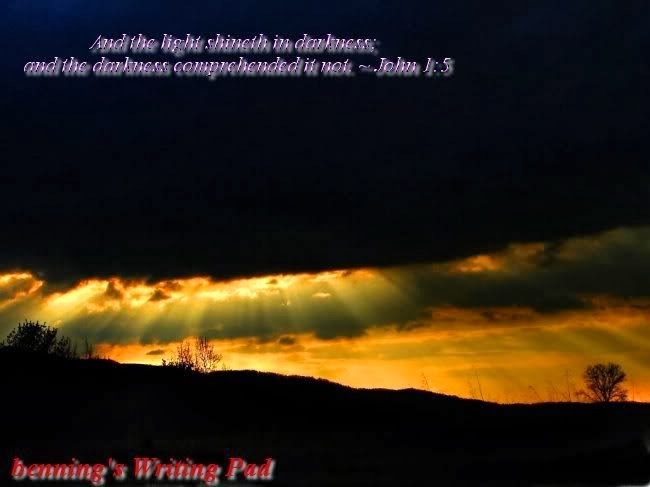 benning's Writing Pad: God Is Not Replacing Anybody! God Is Not Replacing Anybody! Have you heard of something called ‘Replacement Theology’? This posits that the Jews, or more specifically Israel, has been replaced in God’s affections by Christians, or more specifically The Church. The basic idea is that the Jews rejected Christ, the Son of God, and therefore were in turn rejected by God. So they are no longer God’s Chosen People. We in the Church were adopted by God, and have taken the place of Israel, or we are now the ‘true’ Israel, replacing the Israel of the Jews. This is what anyone familiar with the Old and New Testaments would call Heresy. Though it may have a certain appeal to folks whose knowledge of Scripture is patchy, it is in direct conflict with the Scriptures. When a Doctrine is espoused which runs contrary to Scripture it is a Heresy. In this case the Heresy is a particularly nasty one, one which has been around for a very long time, and has been costly in lives, history, and blood. Not to mention, I believe, Souls. If your church or congregation hews to this doctrine, you are in a heretical place, my friends. You need to abandon it, post haste! Are you familiar with the parable of the Prodigal Son? Read it! Though the Son has lost his birthright, through his rebelliousness, he does not lose his ‘son-ship’. The father embraces him on his return, rejoicing greatly! Perhaps in human terms this is unfair, you may think. But God does not think in human terms. He never has; He never will! The son is not replaced and abandoned by the Father. He is forgiven, brought back into the family, and the father rejoices at his return. Christ taught this parable for a reason. Actually more than one. But one reason is to illuminate the tremendous forgiveness and love that God has for His own. The Jews, Israel, are His own. The Father loves them. He has not replaced them with the Church! A) Israel rejected her messiah; therefore she forfeited the promises to her. B) The Church, thus, replaces Israel, becoming spiritual Israel, etc. 4) Jesus has yet to fulfill the promise given to Mary to take David’s Throne, etc. Even after the adoption of Christianity by the secular leadership after Constantine, the notion that Jesus was to literally return to rule the earth to free it from Satan’s evil world system was not popular with the administration in power; it was not politically correct. Origen’s system of allegorical interpretation led to Augustine’s amillennial eschatology, which became a tradition that would dominate the church for over a thousand years. The contention that the church was the inheritor of Israel’s promises, and therefore must take ultimate authority over the political powers of this world, became the preoccupation of the Medieval Church. Even the Reformation, despite its effective focus on salvation by faith alone, failed to re-examine and return to a literal, pre-millennial eschatology. One of the tragedies of this replacement or reconstruction view is that it led to the anti-semitism that resulted in the Holocaust. These views led to the tragedies of the Crusades, the blood-libel hoax, the scapegoats for the Black Death, and other tragic misconceptions. The real root cause of anti-Semitism is, of course, the Red Dragon of Revelation 12, Satan. (There are a number of apparent motivations, not the least of these being the possible attempt to thwart the Second Coming by wiping out the Remnant before they can repent as required by Hosea 5:15, et al.) It is important to distinguish the origin and destiny of Israel from the origin and destiny of the Church: they are clearly distinguished in the Scripture. As you can see the notes are meant to be part of a study. You can listen to Chuck here: "The Prodigal Heirs" and enjoy the seminar. Well worth your time and consideration! God the Father has generously adopted us into His family. He has not thrust out the rest of His family. Some quibble that Jews today are ‘watered down’ after millennia of inter-marriage with Gentiles. Utter nonsense! Read your Scriptures! Find the laws regarding adoption! For me that family line is evidence of salvation to everybody! We are all eligible for adoption! But we do not replace the Jews. We join with them in the Family of God! Read your Scriptures! At one time, when the Roman Catholic Church decided that the Bible could only be written in Latin, it can be understood that most people would have no way to know what the Scriptures actually said. But once that barrier was breached no Christian who could read had any excuse. None save an inherited hatred, or mistrust of Jews. And that is from the Devil. You can certainly find plenty of information regarding Replacement Theology, or Dispensationalism on the Net. Not sure about it? Go look. Don’t just take my word for it. Replacement Theology is Heresy! Inspired of Satan himself! Don’t allow yourself to be a part of it!